Klamath Bird Observatory Executive Director John Alexander, and City of Ashland representative Susan Rust, were interviewed for a local television news spot on the final day of Ashland’s first Mountain Bird Festival, a conservation event hosted by Klamath Bird Observatory. 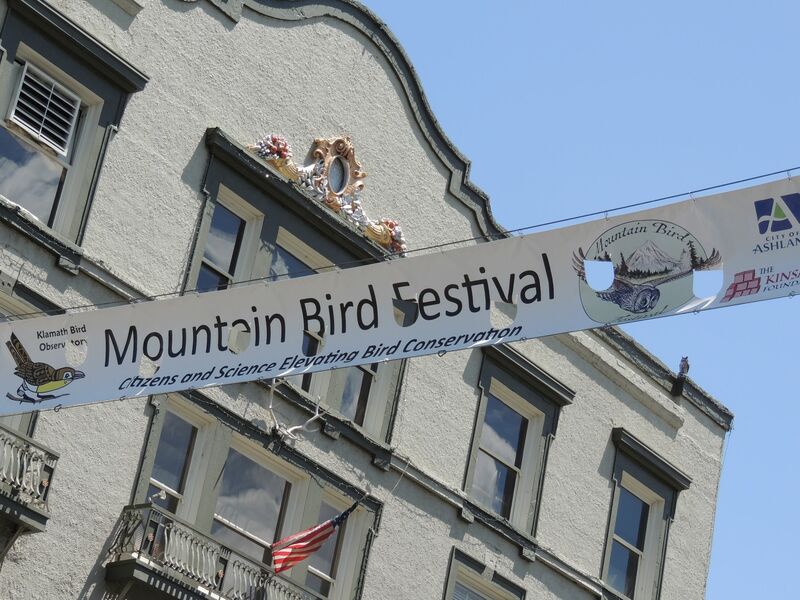 The Mountain Bird Festival raises the profile of the natural beauty, diverse wildlife, and cultural amenities of Ashland, southern Oregon, and northern California. 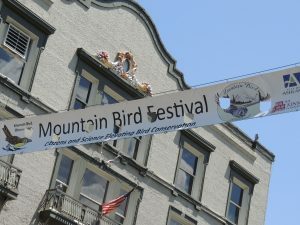 The festival also leads to boons for local businesses, as approximately 70% of the over 100 festival attendees are visiting from outside the Rogue Valley and spending money on food, lodging, fuel, entertainment, and gifts while pursuing glimpses of Calliope Hummingbirds, Green-tailed Towhees, and other feathered specialties of the region. Click here to read the news article about the interview. The Spring 2016 Klamath Bird newsletter is out! In this issue we celebrate the Migratory Bird Treaty and National Park Service centennials … why these are important and how Klamath Bird Observatory’s work plays a part in it all. Also, KBO Executive Director Dr. John Alexander brings breaking bird conservation news and a new call to action … and a new bird bio, upcoming events, a 100-hundred year young bird poem. See it all in the Spring 2016 Klamath Bird! If you expect a copy in the mail it is on the way … to view online click here. 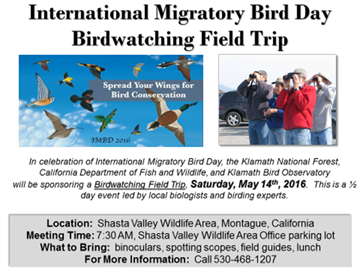 The second Saturday of May brings International Migratory Bird Day celebrations at more than 700 locations from Argentina to Canada and the Caribbean—including a birdwatching field trip at Montague (Siskiyou County), California. Join the birds and birdwatchers wherever you can! We will be at our two local events—Montague and Ashland’s Rogue Valley Bird Festival (see previous post). International Migratory Bird Day is celebrated as a fun way to connect people and nature through birds, and to help people understand the importance of bird conservation. The Winter 2016 Klamath Bird newsletter is hot off the presses! In this issue we look at how KBO is having an impact on bird and habitat conservation … and why that is important. There are reflections of the applied and theoretical research, long-term monitoring, and education we are doing. There is also a new bird bio, upcoming events, a special thank you to our donors, and a new feature – Words on the Wind (a celebration of birds in literature). The edition also features several bird photos by Jim Livaudais, master nature photographer. Look! 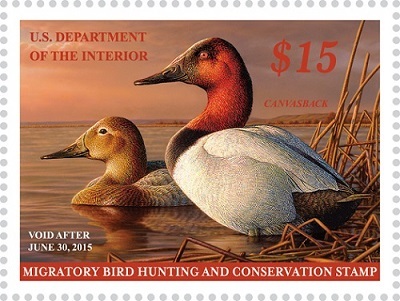 Come see it all in the Winter 2016 Klamath Bird! Click here to view the entire edition of the Klamath Bird newsletter. ARCATA, Calif. — Prothonotary Warblers are stunningly beautiful and highly migratory birds closely tied to their preferred breeding habitat: swamps and other forested wetlands in the eastern United States. 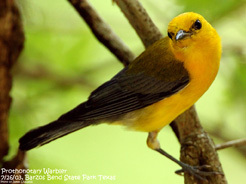 Scientists have noted that Prothonotary Warbler populations have experienced precipitous declines in recent years, prompting new research investigating the little known migratory behavior of this remarkable bird. As part of this effort, researchers from the U.S. Forest Service Pacific Southwest Research Station, Klamath Bird Observatory, Louisiana Bird Observatory, and Audubon Louisiana attached several geolocators—ultra-lightweight devices that record the time of sunrise and sunset each day—using a back-pack harness on several Prothonotary Warblers to identify their migratory routes and core wintering areas. The information collected by each geolocator was used to estimate the daily longitude and latitude of the bird. Data from the geolocator suggest that this bird traveled at least 5,000 miles through seven countries. Researchers found that this Prothonatory Warbler’s migration pattern included an initial flight over the Gulf of Mexico from Louisiana into Central America, then east to the Greater Antilles for about one month, followed by a flight over the Caribbean Sea south to northwest Columbia where it remained for the duration of the winter. These findings contribute to a growing body of evidence that many migratory birds often use two or more wintering locations, or exhibit prolonged stopover behavior. By increasing the breadth of the study, the team of scientists hopes to better understand the migratory and over-wintering behavior of Prothonotary Warblers to identify core areas of habitat that may require additional protection for the species. This study also demonstrates that geolocators can be safely used to document migratory connectivity of species of conservation concern. The findings of this study were published in the September 2015 issue of the Journal of Field Ornithology. To read or download the publication, go to http://www.treesearch.fs.fed.us/pubs/49289. Click here for press packet with a PDF and a high resolution image. Klamath Bird Observatory, based in Ashland, Oregon, is a scientific non-profit organization that achieves bird conservation in the Pacific Northwest and throughout the migratory ranges of the birds of our region. Headquartered in Albany, California., the Pacific Southwest Research Station develops and communicates science needed to sustain forest ecosystems and other benefits to society. It has research facilities in California, Hawaii and the U.S.-affiliated Pacific Islands. This news release adapted from US Forest Service June 10, 2015 Press Release.